New roof installation – Building a new home? Let our factory-trained and certified team of roofers build your new roof. Roof replacement – If your existing roof has reached the end of its service life, we can replace it with the highest-quality roofing products on the market today, guaranteeing a proper installation. Roof repair – As part of our full-range roofing services, we also perform repairs for minor to moderate roof damage. Roof cleaning – To help keep your roof in tip-top shape, our team can clean your roof for you, too! Roof care and maintenance – We perform overall roof care and maintenance, from inspection to necessary repairs. Tony's Roofcare Inc. also conducts siding replacement and repair. If you don’t have siding installed yet, we can recommend the best type of siding for your home and ensure proper installation as well. Our team can give your home’s exterior a stunning makeover, boosting your curb appeal in the process with our exterior painting services. We use only the highest-quality paints available. Learn More About Our Services. Call Us Today! If you’re looking for the best roofer or siding replacement contractor to cater to your needs, look no further! 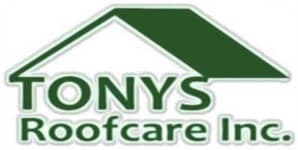 Get in touch with Tony's Roofcare Inc. to learn more about our services. Call us today at (253) 841-7779 or fill out and submit our contact form to schedule a consultation and get a 100% free estimate.